-You must be have a high school diploma or GED. -Successfully complete the required 75-hour Salesperson Pre-license Course at a school approved by the Georgia Real Estate Commission, like the Georgia Academy of Real Estate. -In the first year of your licensure as a salesperson, you must take a 25-hour salesperson post-license course. If you don't complete the post-license course during the first year, your license will lapse. 2. Understand real estate Pre License course requirements Georgia Real Estate Commission requires all potential real estate agents to complete Pre License coursework. -Complete 75-hour Pre License course. *Failure to meet this grade will require you to retake the course. Luckily, the Georgia Academy of Real Estate has a passing rate of 97% for our traditional class setting and a 95% passing percentage in our online course. We currently offer 2 different ways to take the real estate pre license course. First we offer our course with a traditional class setting. This course typically meets 2 times a week for 4 hours over 11 weeks. 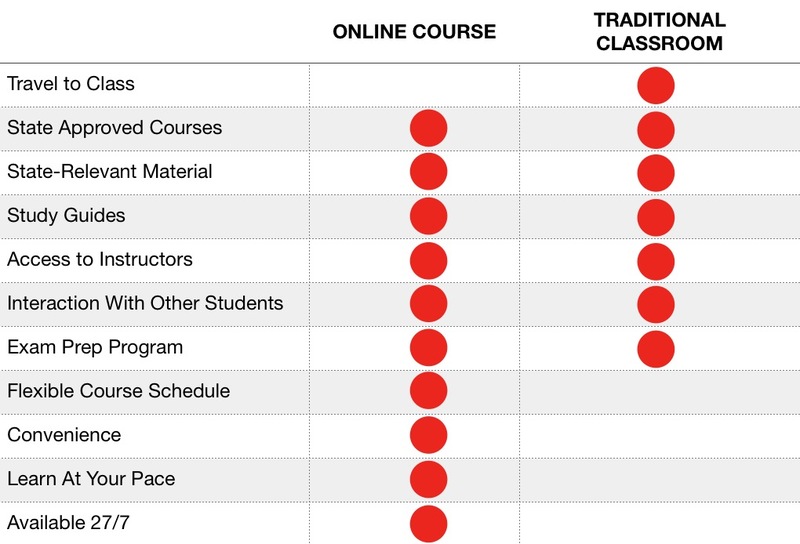 Alternatively, if your schedule doesn’t allow you to meet the traditional class requirements, we offer an online course that is accredited by ARELLO® and the Georgia Real Estate Commission. 4. Register for our exam prep course. At the Georgia Academy of Real Estate, “CRAM sessions” typically follow the 75-Hour Pre License course, prior to the final exam. These sessions consist of an all day Saturday session, and 6 hours on Sunday. 5. Complete and pass the Real Estate “Pre-License” course. 6. Study for the real estate license course. - Register for the examination administered by Applied Measurement Professionals and approved by the Georgia Real Estate Commission. - Pay the examination fee of $121. Required score to pass: 75%. If 12 months have passed, you must retake the entire 75-hour course. Be sure to “shop around” and interview the brokers in your area. Every firm has something different to offer to their agents, so interviewing agents in the area can be very beneficial to your career. Things to look for in a brokerage firm include things such as: the training you will receive, access to offices, conference rooms, and computers, your agent split, etc. 12. Execute your marketing plan. As a new real estate agent, your marketing plan should include a website, business cards, flyers, advertisements, social media, and personal networking. You need to find clients and start getting some transactions under your belt. Just remember that whatever marketing plan you have in place, it’s important for you to continually track your return on investment. Research shows that agents who track their ROI earn more in the long run, compared to agents who don’t. In GA, real estate agents must complete 25 hours of post-license continuing education within the first calendar year of licensure. 14. Close your first transaction! Once you have all your systems in place, let everyone know you’re in the real estate business. You will soon start interacting with potential buyers and sellers, and you’ll be in business! Now comes the part you’ve been waiting for — your first transaction. Even if you feel confident, it’s always a good idea to have a more experienced agent check your work to make sure you’re doing the very best for your clients. After it’s all done, sit down, give yourself a pat on the back, and smile — you’re officially a real estate agent.